The Convener, Coalition of Democrats for Electoral Reforms, Mr. Ayo Opadokun, and the Chairman, Galaxy Clique, Offa, Mr. Muideen Ibrahim, have said it is shameful that Nigeria, which is one of the largest global producers of crude oil, still imports petrol for domestic consumption. They also said the Offa people were at a disadvantaged position on the basis of their inclusion in Kwara State, which is one of the 19 northern states, when according to them, they share cultural norms and history with the Yoruba. They spoke in Offa on Tuesday during the 2017 annual Galaxy Colloquium in honour of the late Chief Josiah Olawoyin. Opadokun, who was the guest lecturer, during an interview with journalists on the sidelines of the event, said Nigeria should develop its capacity to indigenously refine petrol for its domestic consumption. He said, “I am extremely sad and weakened over the fuel crisis. But I know it to be a cumulative effect of the prolonged misrule of the country by the military. “When Buhari was there as the military Head of State, he built refineries but none has been added to the ones he built. The population was not as large as this; the vehicular movement was not as large and wide as this. “Since then, what has happened? Those who took over from him have totally ravaged Nigeria. What they needed to do, they did not do. “I was part of the Nigeria Labour Congress team that did sufficient research. We went to Libya, Egypt, Saudi Arabia, United Arab Emirates and Venezuela to find out how much it costs to explore one barrel of crude oil. Nigeria’s own is the most costly in the world and then, what are they doing now. “What has happened in the last three or four months is that because the government is not willing to add more money to their profit, they (importers) said they would not import. So, the Nigerian National Petroleum Corporation has been importing the totality of fuel being used in Nigeria. Ibrahim in his own remarks said, “It is a shame, sad and disheartening that a country that is producing oil and is one of the largest producers in the world, cannot get oil. “The timing of the fuel crisis is what really saddens me. Many people could not go for Christmas. 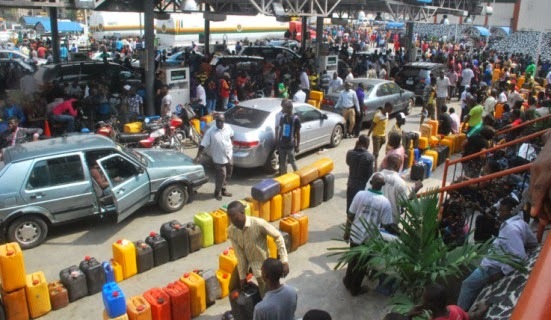 Even those of us who came from Lagos, we bought fuel at the rate of N400 and N500 per litre. Opadokun had earlier, while delivering his paper titled, ‘Offa in Yoruba history,’ stated that Offa was significant in Yoruba tradition. According to him, Offa suffered irreparable loss in the hands of the British colonial officers. Opadokun stated, “Offa is the traditional headquarters of the Ibolo people. Ibolo people are one of the four species of the Yoruba nation. “Ibolo people are in Offa to Iwo, Ede, Osogbo. Ejigbo and Ikirun, Inisa, Okuku, all of them are Ibolo people. Offa is the traditional headquarters.